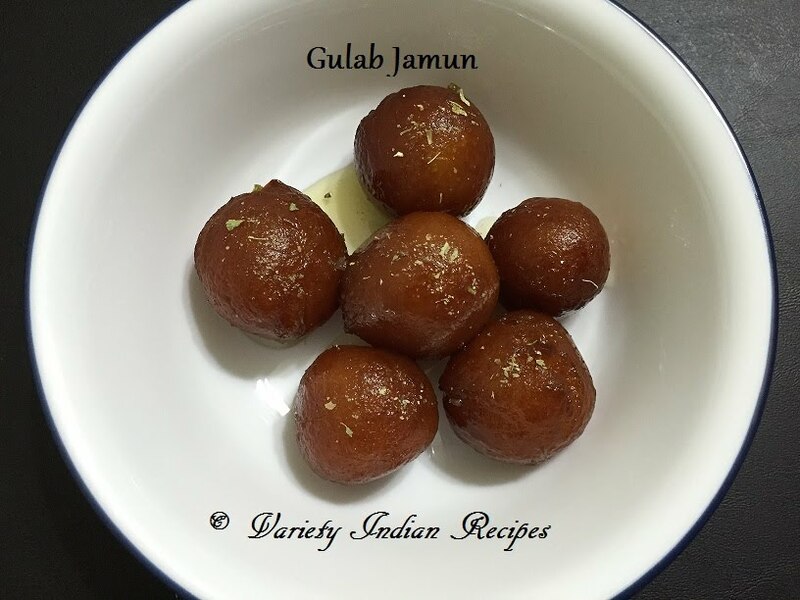 Gulab Jamun is a popular Indian dessert made during special occassions. It is a easy to prepare dessert and is loved by all. Allow to boil until the syrup is slightly sticky. Take Gulab Jamun mix in a mixing bowl, add water according to the instruction given in the pack and gather together to form a dough. Heat oil in a pan. In a medium heat drop the jamuns in the oil. Keep stirring the jamuns so that they are evenly cooked. Fry until it is dark brown. Once all the jamuns have been cooked, drop them into the hot sugar syrup. (If the sugar syrup has cooled down, slightly heat the syrup before dropping the cooked jamuns). Allow to soak for 2 to 3 hours. Now tasty gulab jamun is ready.